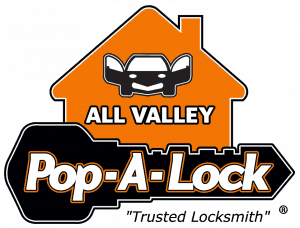 All Valley Pop-A-Lock provides quick, professional locksmith service from experts you can trust. All Valley Pop-A-Lock offers 24-hour automotive locksmith services Valleywide. Whenever you’re locked out of your car, you can trust the experts at Pop-A-Lock to get the job done. Talk With A Locksmith right now! Service was timely and professional. Questions were answered politely and informatively. This was one of the best roadside assistance experiences I have had. Thank you! Excellent service. Gentlemen was very prompt and nice. My first experience with them I definitely give them 5 stars. We provide services in the South Texas area of McAllen, Harlingen, Brownsville, and throughout the entire Rio Grande Valley. All Valley Pop-A-Lock®. Professional, timely, friendly locksmith services. Serving McAllen, Harlingen, Brownsville, and surrounding Rio Grande Valley cities. Copyright © 2018 All Valley Pop-A-Lock . All Rights Reserved. Pop-A-Lock® is a registered trademark of SystemForward America, Inc., franchisor for the Pop-A-Lock® system.